The County Controller Joanne Phillips has created a Fraud, Waste and Abuse Hotline. The purpose of this hotline is to allow anyone to report in confidence, information regarding any fraud, waste or abuse having to do with Delaware County assets. Tiplines are proven tools to help prevent fraud and abuse. Suspicious behavior - Fraud perpetrators often display behavioral traits that serve as indicators of possible illegal behavior. The most commonly cited behavioral red flag is "living beyond their apparent means". What: Nature of the fraud/abuse - lying, cheating, stealing, etc. 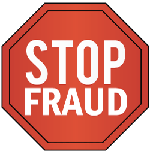 Submit your tip electronically via the Fraud, Waste and Abuse Form. Call (610) 891-8614 to leave a detailed message (Calls are anonymous and untraceable). Fraud and abuse is something everyone pays for. Significant losses due to fraud could mean increased taxes, decreased employee benefits, tighter departmental budgets and less services for our Delaware County citizens. You have the right to remain anonymous, but identifying yourself may greatly aid in our investigation. If you choose to remain anonymous be assured your complaint will receive the same attention as all tips we receive. **Disclaimer: Individuals can choose to submit their tips via phone, mail or the online form. All methods of submission provide the individual with anonymity, should they choose. An investigation will be opened within 7 to 10 business days of receiving the tip. It is not necessary to call and check the status of your tip. While our office intends to make every reasonable effort to maintain confidentiality, there may be circumstances where we are required by law to provide information to other government departments that are relevant to a particular issue. If you have provided contact information, we may follow up with you on your report if appropriate but a response may not be given. The Fraud, Waste & Abuse Hotline only applies to Delaware County governmental assets, monies and resources. Any other fraudulent activity not related to Delaware County activities should be reported to the appropriate law enforcement authorities.